Making a confidential prayer request for yourself or others is possible if you know the secret of the right ways and means of doing so. Sometimes our confidential prayer requests are about private family or business matters that are not public knowledge. Other times our confidential prayer requests are about personal matters, such as our fears or struggles that we would rather not talk about. And at times our confidential prayer requests are for family members or friends whose privacy we want to respect while at the same time getting the prayer support we need to deal with the worry, stress and fallout their problems are causing in our own lives. Here are the secrets of getting the prayer support you need for your confidential problems. 1. Ask God for guidance in deciding which prayer requests should be kept confidential. Be aware that everyone has a different comfort level as far as letting others know their private business. Prayer is a positive way to deal with every issue you could possibly face but sometimes making a prayer request might unwittingly expose a private matter to public knowledge before those involved are ready. It’s always best to err on the side of caution when making a prayer request that involves others or information that is not yet public knowledge. The kinds of situations where we might need to pray for discernment before sharing in a non-confidential way might include marriage issues, legal matters, mental health concerns, illnesses that are in the process of diagnosis, hidden addictions, business problems, financial problems, family issues, etc. If after prayer you determine that your prayer request is confidential for the time being, there are still many avenues open to you to receive the prayer help and support you need. 2. Educate yourself about the things that should NEVER be kept confidential and need immediate action. You should immediately seek appropriate professional help if you or the person for whom you are praying is a danger to themselves or others, is thinking about suicide, is the victim of domestic or child abuse or is engaged in abusive behavior. Call a suicide prevention hotline or an abuse hotline immediately. You should always immediately seek appropriate medical care for any physical symptoms you might experience. The longer you delay, the farther a disease may progress and the less likely you may be to recover. I strongly believe that God answers our prayers by providing his healing help through medical professionals and helpful medications. 3. Take comfort in the fact that others can pray effectively for you without knowing all of the specific details of your situation of your confidential prayer request. 4. 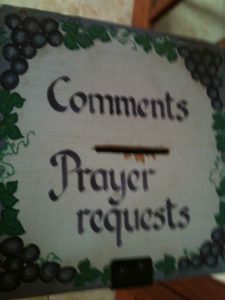 Use a prayer request box for confidential prayer requests. Many local churches have prayer request boxes with a slot in top into which you can put your written prayer request. You do not have to sign your name on the request and you can write your request in general terms if you think that someone on the prayer team might recognize your situation. In one prayer group I attended, instead of reading each individual prayer request, we did not open the box and read the requests. Instead we offered general prayers that God will honor the faith of the individual who put requests in the box that week. If you have any questions about how the requests in a prayer box are handled, ask. 5. Use prayer request cards to make confidential prayer requests. Some churches have prayer request cards on a table, in the bulletin or in the pew racks. In our church prayer request cards are in the pew racks. When someone fills out a card, they place it in the offering plate. The prayer team gathers them and prays for them during the week. In most cases, signing the prayer request card is optional if you don’t want to give your name. 6. Request prayer on a prayer chain anonymously for a confidential prayer request. 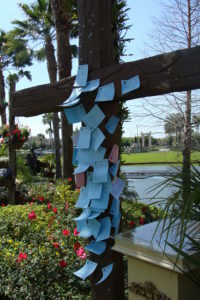 Many churches have prayer chains where a group of individuals pray for requests as they are submitted either via a phone tree, via email or an online posting. Usually requests are made by contacting the person in charge of the prayer chain. When contacting the prayer chain coordinator with your request, you can ask that your name not be shared. 7. Write a confidential prayer request in a prayer book, bulletin board or log. 8. 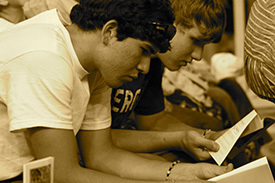 Make confidential “unspoken” prayer requests in prayer groups. Many churches, Sunday school classes, Bible study groups and organizations share prayer requests in group settings. Although most requests give specific names and situations, often a group leader will ask people to raise their hand if they have an unspoken prayer request. If you’re not attending a group that doesn’t use the raising of hands for unspoken requests, you can simply request personal prayer for an unspoken request you have during the time others are sharing more specific requests. 9. Request confidential prayer online. There are many websites and facebook pages that are set up to receive prayer requests from anyone who wishes to post one. 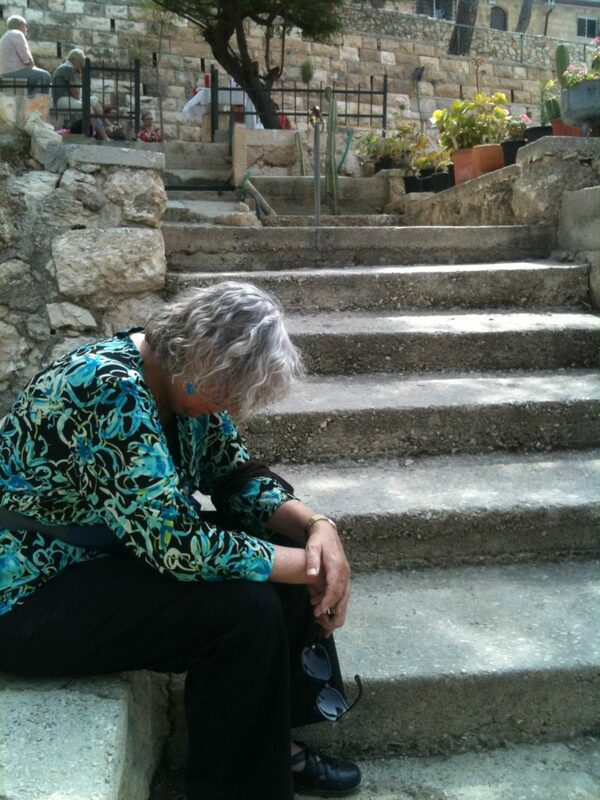 Some of these sites have volunteers designated to pray for the requests on a regular basis. Others simply facilitate the posting of requests in the expectation that those using the site and seeing the request will pray. Most of these sites require you to sign up as a member with a password to prevent spammers from posting ads on the site. Although you usually need to use a valid email address to become a member, most sites allow you to use a screen name to protect your identity if you so desire. Some people feel more comfortable sharing more specific details of their confidential prayer requests online under a screen name since the visitors to the site are from all over the country and most likely will not guess the identity of the person requesting prayer since they do not live in the same locale. 10. 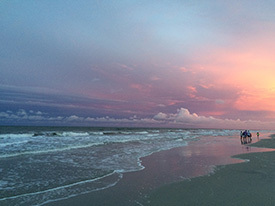 Request confidential prayer with a chaplain, priest, minister or counselor. Ministers, priests and hospital, hospice and military chaplains are good resources should you decide that you would like a time of prayer with someone to specifically pray for your confidential prayer request. Request a private appointment and begin by explaining that your request is strictly confidential. You may then share as much or as little as you like about your specific situation, depending on your comfort level. 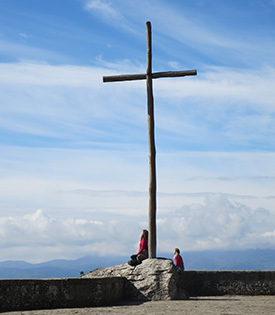 If you would rather not request prayer with a minister or pastor you know, chaplains are often a good choice as they are usually from wide geographical and church backgrounds. 11. Leave a symbolic confidential prayer request in a special place of prayer. 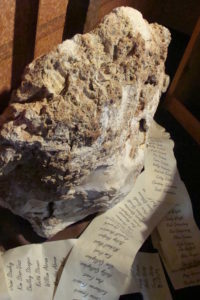 The Western Wall in Jerusalem is an example of a place where anyone can write a personal request on a slip of paper and place it in a crack in the wall as a means of bringing their request to God in a private way. I have seen other sites in churches or places of pilgrimage where people attach requests on crosses or tie them to a fence. Many churches also provide votive candles you may light to symbolize your request. 12. 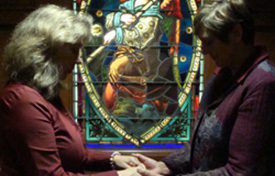 Enlist a prayer partner to pray with you about your confidential prayer request. Having a prayer partner who can meet with you once or on an ongoing basis to pray for your confidential prayer request is a true godsend. Begin by praying for God’s direction about whom you might possibly ask. My personal advice is that you think about people you already know fairly well who is experienced in praying and who is able to refrain from discussing your situation with others (including their spouses.) An excellent source might be someone who has dealt with or is dealing with a situation similar to yours so that you can share wisdom and also mutually pray for each other. See related article How to pray with others. 13. Receive care and prayer for your confidential prayer request via an organized care giving or support group. 14. Attend a worship service, prayer service or prayer meeting to receive prayer for your confidential prayer request. Many churches offer prayer services, healing services, or special times during their worship service when those in need of prayer may come forward to the altar. Since altar prayer times are not usually settings where there is a lot of discussion about the need for which you want prayer, you can simply quietly tell the person praying for you the general nature of your request in one or two sentences. The intercessor will pray for you as they are led by the Holy Spirit. Sometimes during this type of prayer the intercessor or minister may lay their hands on your head or shoulder or may anoint your forehead with oil. In one church I visited, an intercessor stayed up front after the church service was over to pray for anyone who wanted personal prayer. 15. Learn how to word confidential prayer requests in such a way as to give the general need without sharing private information. The bottom line is that God cares about you and those around you with great love and compassion. I believe that in some ways the act of requesting confidential prayer is an act of prayer in itself, because it gives us a way to admit that we need more help than we can muster by ourselves. It helps us feel less isolated and alone and it comforts us to know that God cares and that others care. The time will come when you have gotten through the crisis through prayer and God’s help and you are in turn able to pass along the support you received by giving the gift of prayer to someone else going through a life problem similar to yours.